“The brightest, whitest light I've ever seen. How can it fly like that? 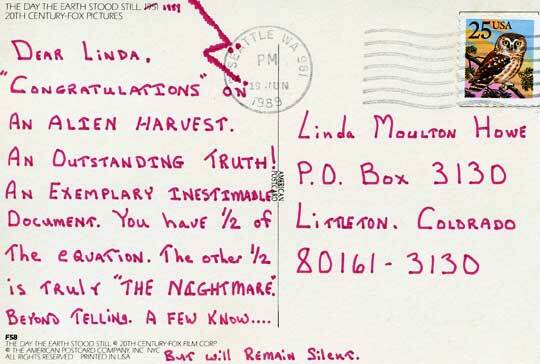 Anonymous postcard dated June 19, 1989, from Seattle, Washington, to Linda Moulton Howe at the time that her first book An Alien Harvest was released.